With the newly launched Defected-branded bag collection, Defected have joined forces with the iconic New York messenger and DJ bag originators, Manhattan Portage. Born out of the challenging and gritty landscape of the New York City streets nearly three decades ago, Manhattan Portage was an original pioneer of the authentic messenger bags designed for urban life and adopted by the DJs of New York’s East Village. The limited edition bags feature the Defected Records logo in tandem with the iManhattan Portage label of the Manhattan skyline emblazoned on every bag. The range includes three varying sizes and a selection of colours, carefully selected to meet the daily demands and urban lifestyle of a variety of customers, from international DJs to house heads and party people who work hard/play hard all over the world. 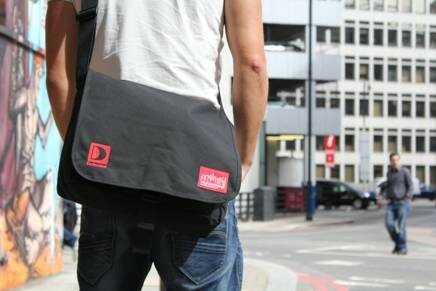 This is the first range available from a series of new Defected apparel, with more soon to hit the Defected Store. Each bag is supplied with a Limited Lifetime Warranty and new owners must register their Manhattan Portage bag’s individual serial code to activate and verify authenticity. 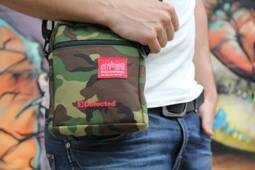 For more info, check: http://www.defected.com/store/merchandising and www.manhattanportage.co.uk/catalog/.